This upcoming Tuesday begins one of my favorite weeks of the year: Fusebox Festival. I highly recommend Rude Mechs (Austin, TX)' "Not Every Mountain" and am particularly looking forward to seeing how Justin Favela will make "piñata" a verb on the fest's Hub, Janet40's "Li Po", Adrienne Truscott's two performances, and many others. It's all FREE, with reservations required for certain events. I'll be speaking as part of "The Art of Science" Waffle Chat on Thursday 4/18 at noon, ahead of the three performances of Golden Hornet's "The Sound of Science" featuring Jeffrey Zeigler. Saturday April 20 is officially full, but tickets remain for the 2 pm & 5 pm shows on Sunday April 21! Claim your free spot @ bit.ly/SOSfusebox 1 week 6 days ago. Graham Reynolds Music shared a post. Hope to see you THIS Saturday at 3TEN Austin City Limits Live for the Electric Lounge 20 Year Reunion Show! 2 weeks 3 days ago. Graham Reynolds Music updated their cover photo. Excited to finally bring this work to Austin! Co-curated alongside Jeffrey Zeigler and featuring works by Maja S. K. Ratkje, Paola Prestini, Foday Musa Suso, Yuka C. Honda, Sarah Lipstate, Felipe Perez Santiago, and myself, the project brings brings the two disciplines together in a celebration of their shared culture of inquiry. Commissioned by Golden Hornet. Three FREE performances at The North Door as part of Fusebox Festival: Sat April 20 @ 8 pm | Sun April 21 @ 2 pm or 5 pm Reservation Required @ bit.ly/SOSfusebox 3 weeks 1 day ago. OperaATX is Austin Opera's new contemporary opera series, an exciting development for the scene! This weekend, April 5 & 6, are their first shows and it will be a good one. I saw "Soldier Songs" at the very first PROTOTYPE Festival years ago; the same fest that served as the NYC host for our bilingual opera, "Pancho Villa from a Safe Distance" earlier this year. My friend Todd Reynolds will be conducting the Austin premiere of David T. Little's multimedia opera. More info @ Opera ATX – Soldier Songs - see you there. 3 weeks 2 days ago. Graham Reynolds Music is with Daniel Chrisman and 10 others. Some glimpses into the GRIMM TALES rehearsals with Ballet Austin! World premiere TONIGHT, Friday 3/29 8 pm at Long Center, with performances on Saturday and Sunday as well. Get tickets @ bit.ly/grimmballet 📷 Anne Marie Bloodgood 3 weeks 6 days ago. Sam Shepard and Johnny Dark met in Greenwich Village in the early 1960’s and, despite leading very different lives, remained close friends ever since. 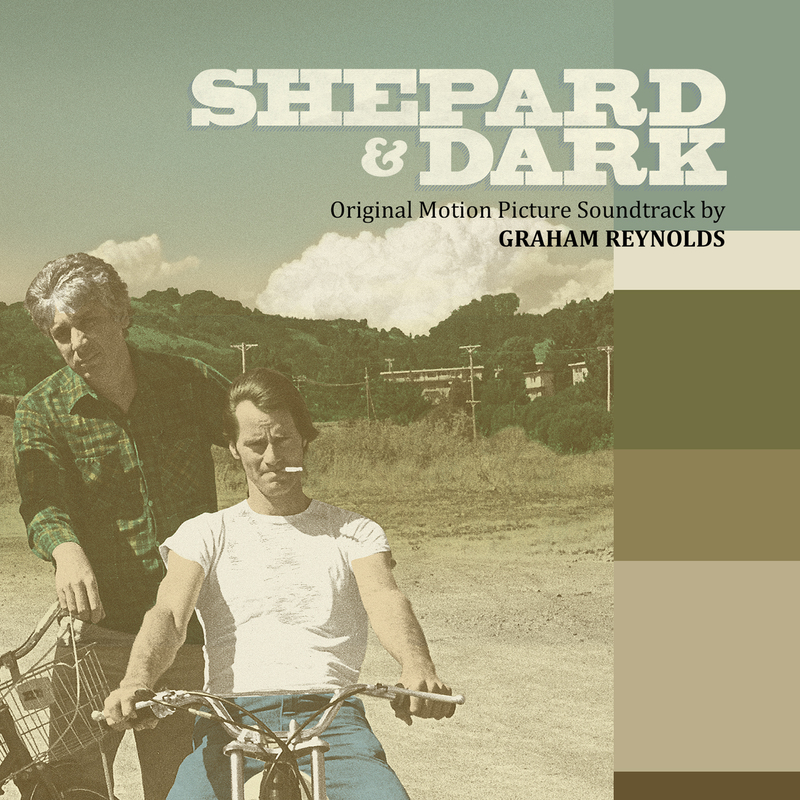 Shepard became a Pulitzer Prize winning playwright (Buried Child) and an Academy Award-nominated actor (The Right Stuff), while Dark was a homebody who supported himself with odd jobs. Through the decades, they stayed bonded by family ties. Dark married an older woman named Scarlett and Shepard married her daughter. For years, the two couples lived together, until Shepard broke away for a relationship with Jessica Lange in 1983, leaving Johnny to help father his first son. Nevertheless, he and Dark continued writing to each other, amassing hundreds of letters. Director Treva Wurmfeld began filming the two friends in 2010 during a period of transition and reflection for Shepard. At the time, he had quietly ended his relationship with Lange and agreed to publish his correspondence with Dark. The task required them to meet and sift through years of their shared history, stirring memories both good and bad. Wurmfeld observes the two men over a period of eighteen months and captures an indelible portrait of a complex male friendship rarely depicted on screen.